In the latest James Bond adventure, a cryptic message from 007's past sends him on a trail to uncover a sinister organisation. 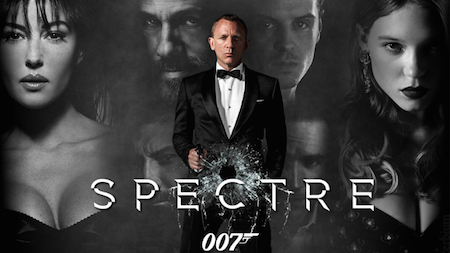 While M battles political forces to keep the secret service alive, Bond peels back the layers of deceit to reveal the terrible truth behind SPECTRE... The team behind the record-breaking 'Skyfall' return for the 24th spectacular Bond extravaganza. The universally acclaimed 'Skyfall' took more than $1 billion worldwide and became the UK's highest grossing film of all time. Now Daniel Craig is back for his fourth outing as the legendary 007. 'Skyfall' director Sam Mendes and writer John Logan are also onboard for what promises to be another brilliant and action-packed blockbuster.